Learn how to adjust your budget so you can maintain stability year-round. Your budget is never static. Costs and financial needs change from one season to the next, so you budget should change, too. Making seasonal budget adjustments can help ensure you maintain financial stability. You can also avoid credit card debt caused by higher costs that what you had budgeted. So, you adjust your budget for higher energy and gas costs in the summer, as well as factoring in your vacation. Then you adjust your budget for back to school in the fall and holiday shopping in the winter. This set of resources can help you understand all the seasonal costs that can throw your finances off track. This will help you make smart budget adjustments, so you stay financially stable year-round. If you have any questions, just click the Ask a Question button at the bottom of the page to get a straight answer from one of our certified financial coaches. Everyone needs a break. But recent studies found that up to 90% of Americans take on credit card debt to take a vacation. Bringing home debt as a souvenir just adds to your financial stress. So, if you really want to relax and get away, you need a budget and save for your next vacation. Don’t let high interest rate debt be the biggest souvenir from your trip! 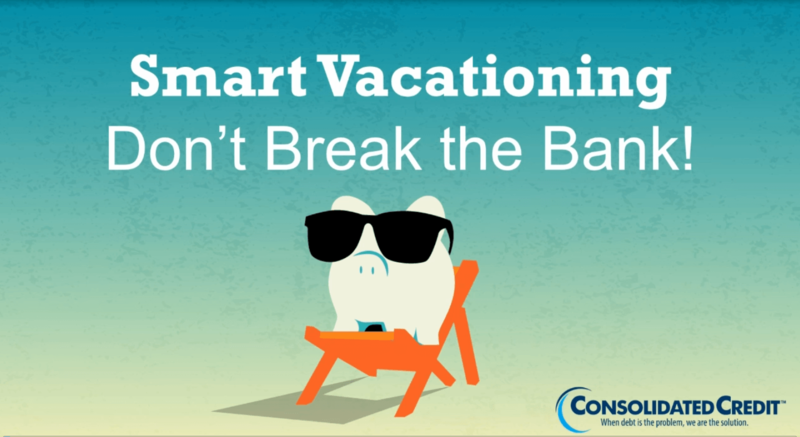 Learn how to budget for a fun, frugal vacation that doesn’t lead to debt. Whether you live in an area that’s prone to floods, hurricanes, tornados, fires or blizzards, disaster planning should be part of your yearly financial routine. This guide can teach you how to make sure your finances and household are ready for the next major disaster, so you can recover quickly and minimize debt problems caused by these often-catastrophic events. The winter holidays are the most expensive time of year for most American households. It’s easy to go overboard, making it the holidays the easiest time of year to take on serious credit card debt. That’s why we’ve created a whole range of resources to help you make an effective holiday budget. You can find more information in Consolidated Credit’s full Holiday Survival Guide section of our website. Consolidated Credit provides tips on how to have a debt-free holiday season, such as not buying gifts for everyone, providing homemade gifts and gift exchanges with various amounts of people. 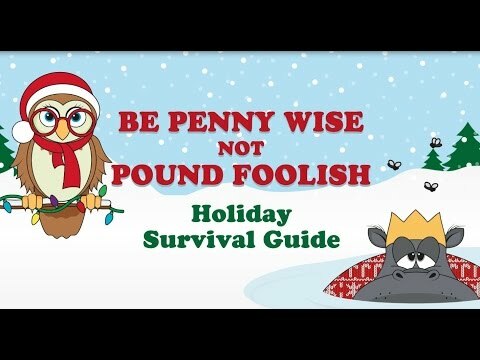 A Penny Wise, Pound Foolish guide to surviving the holidays. Penny Wise knows the best time of year can also be the worst for you budget. You have to plan carefully to avoid holiday debt. Only the Pound Foolish think it’s pointless to plan. Follow these 7 tips to survive the holidays with less stress and debt. First, make a budget and stick to it. Pound Foolish shops without a budget and ends up spending way too much. But Penny Wise budgets for everything from gifts to family meals. And once the budget is set, don’t deviate. Penny Wise also knows you shouldn’t buy gifts for everyone. Pound Foolish buys individual gifts for everyone and way too many gifts for family members. Coaches, teachers, neighbors, bosses, coworkers… it never ends. Penny Wise makes a list of everyone they need to buy for and then prioritizes it. They set spending limits for family gifts and do things like gift swaps for adults. Then they make what they can for everyone else. Penny Wise also gets the whole family involved, making gift baskets or baked goods. Or they grow potted plants and let the little ones decorate the pots. Just don’t be Pound Foolish and start too late or you won’t have time for mistakes. And Penny Wise makes sure to have extras on hand for last minute gifts. Penny Wise also likes to play Secret Santa. So they shovel snow or rake leaves for a neighbor without them knowing and they do family member’s chores when they’re out of the house. They can also leave gifts on doorsteps. Because only Pound Foolish thinks the value of a gift is measured by the price tag. Penny Wise also creates personal gift certificates, offering good deeds that celebrate the spirit of the season. You can offer freebies like car washes or babysitting services, or coupons for fun outings that can be redeemed later. So while Pound Foolish is still paying off the debt from last holiday season, Penny Wise is cashing in and enjoying more great times with the family. You should also focus on experiences. While Pound Foolish is stressing out on a mad-dash shopping binge, Penny Wise is making new traditions with the family, like skating trips and bonfires, and volunteering together to help those in need. Finally, Penny Wise never forgets what’s really important. 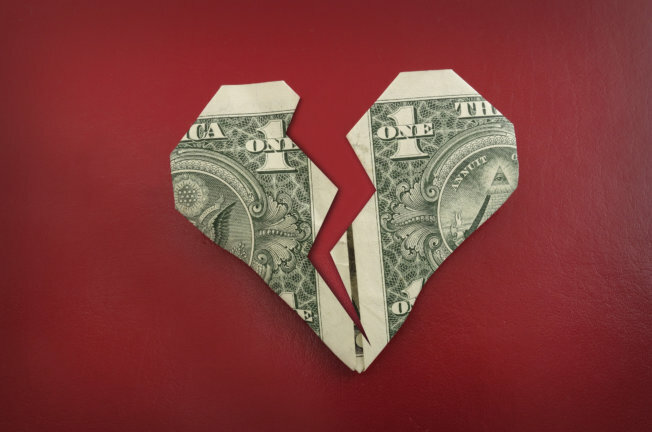 Pound Foolish gets pulled in by ads that say you need diamonds and cars to express your love. While Penny Wise creates a blessing jar that the family fills with things they are thankful for. Then together they read the notes and celebrate the joys of the past year. So remember the spirit of the season and celebrate this year without debt. And if you overspend, Consolidated Credit will be here to help soften the landing. Consolidated Credit explains how to shop for the holidays without going over budget. 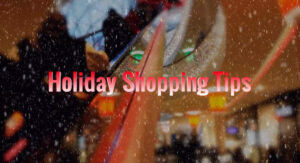 Some tips include not shopping on impulse and looking at sales. 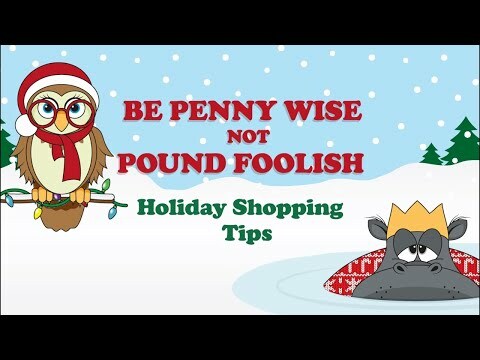 Be Penny Wise, not Pound Foolish about holiday shopping. Penny Wise shoppers plan ahead so they can enjoy the holidays, while Pound Foolish shoppers overspend and overstress. Because they fail to budget, costs go up and debt grows before the end of the year. They shop with friends, which increases the chances of impulse buys and shop tired or hungry, which leads to rash purchasing decisions. Penny Wise makes a list before heading out to shop. And they take time to look for sales and comparison shop to get the best prices. And while both Penny Wise and Pound Foolish may be out early on Thanksgiving and Black Friday, Penny Wise only hits the stores when it really counts to maximize shopping. Meanwhile Pound Foolish is out fighting over fad gifts that won’t stand the test of time. Penny Wise buys gifts that are meant to last, like clothes, appliances and electronics you need for school or work, and even practical gifts like tires. 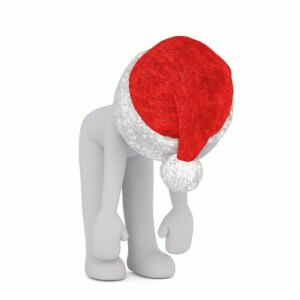 Only Pound Foolish shoppers start shopping at the end of November or into December. Penny Wise shops year-round, buying one big item per month to spread out the cost. And they buy universal gifts like digital picture frames whenever they go on sale. This way they have inexpensive last-minute holiday gifts to give out as needed. The Pound Foolish just buy, buy, buy and don’t even bother to track their receipts. Penny Wise uses receipts to track spending, in case retailers offer a cost difference after the holidays. They also ask for gift receipts to include with gifts for easy returns. When the Penny Wise shop online, they only shop secure sites to avoid identity theft, because you’d have to be Pound Foolish to add to your holiday stress with credit fraud. Penny Wise also knows how to save big on holiday meals. They plan meals carefully based on the number of attendees and how much everyone can eat. They also buy nonperishables in bulk because they can save up to 20 percent. Pound Foolish makes enough food to feed an army instead of a dinner party. And they don’t use leftovers, so much of what they cook gets tossed in the trash. Finally, Pound Foolish puts everything on credit because it’s easy and they might earn rewards. 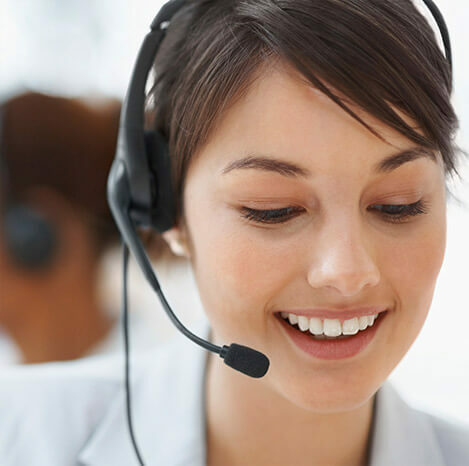 But Penny Wise uses cash and debit when possible and they plan ahead to pay off high interest rate credit card debt in the first billing cycle. Purchases that take more than one billing cycle to pay off go on a card with a low APR. So when Penny Wise uses credit cards, they use two AT MOST for holiday purchases, while Pound Foolish ends up with a holiday debt hangover. Be Penny Wise and shop smart this holiday season. 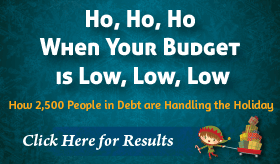 And if you start to feel any stress over holiday debt, call Consolidated Credit for help. 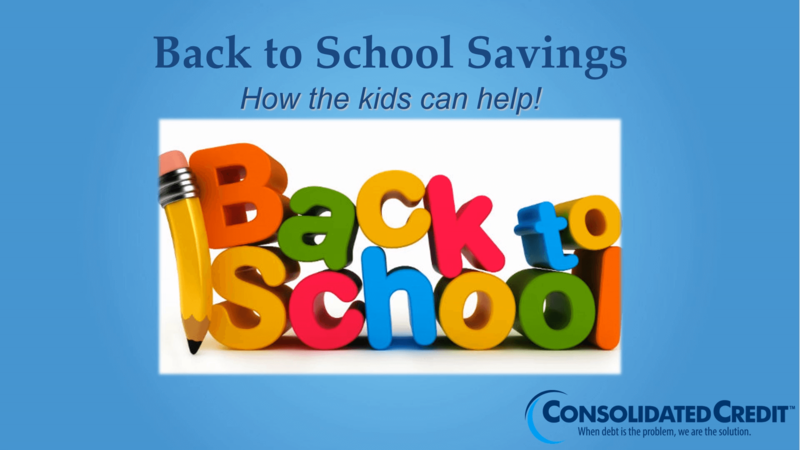 If you have children, then the fall back-to-school shopping season is the second most expensive time of the year. Back to school shopping seems to get pricier every year, so we’ve created a series of resources to help parents stay on budget and avoid credit card debt. Narrator: The back to school shopping season is the second most expensive time of year after the winter holidays. Narrator: The average family with children from Kindergarten to 12th grade will spend almost $685 this year. Narrator: College students will do most of their shopping online and at department stores. Narrator: While more than half of families with children in Kindergarten through 12th grade still plan to shop at department stores. Narrator: Back to school shoppers plan to spend the most on clothing, with electronics in second place, while the opposite is true for college students. Narrator: Don’t leave it to the last minute! It will only increase your stress and overburden your budget. Narrator: The P-R-P-R method helps to create a strategic plan of attack for shopping on a budget. [On-screen text] Use the PRPR method for strategic shopping! Narrator: Create a shopping plan that includes the items you need to buy with the best driving routes. That way, you’ll save time. [On-screen text] PLAN: Create a list of items and routes. Be sure to factor in BULK SHOPPING AND THE BEST DEALS! Narrator: Research tax-free holidays in your state and remember to subscribe to the retailer’s newsletter and social media accounts for deal updates. [On-screen text] RESEARCH: Look into tax-free holidays! Subscribe to retailers for deals and remember to comparison shop. Narrator: Prioritize what’s essential now and which items can wait for later. [On-screen text] PRIORITIZE: Assess what’s necessary now plus the quantity, and which items can be purchased later. Narrator: Explain to your kids that you can’t buy everything they want. Maybe one item now OR they can earn the money by doing chores. [On-screen text] REALISM: Include your kids in the budgeting process. Must-have items can be bought in exchange for chores! Back to school is the 2nd most expensive shopping season of the year. Learn how to save money and teach your kids money lessons along the way. Still have questions about how to make smart budget adjustments for seasonal events? Ask our certified financial coaches so you can get the answers you need to stay on track.